Co-published by Atari2600.com and Gamester81. Fans of John aka "Gamester81", with video game and system reviews, interviews, news, shows, forums and entertaining dialog can now be a part of retro video game history. 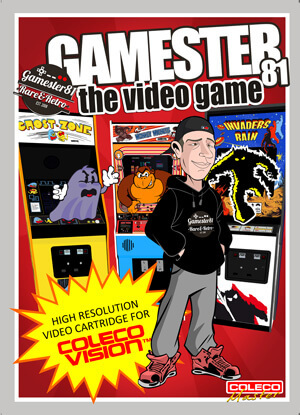 Join Gamester81 and Joe Cody in supporting the production and release of Gamester81: The Video Game for the ColecoVision video game system.